The Tinted Guest Blog offers members of the wider Tinted Circle a channel to share their views: often controversial, typically sharply observed, always pro beer. This time, London beer enthusiast James Berry at London Crawling offers his perspective on what drives the emerging trends in the changing face of the London pub scene. It’s a strange thing fashion – it is inherently competitive: staying one step ahead of the rest, always having/doing/seeing the new thing, being at the forefront of the zeitgeist. Despite this we so often refer to the past to define the trends of today and no more so than in the ever changing appeal of that wonderful bastion of British life – the Pub. Publicans looking to retain their appeal in an increasingly ‘noisy’ leisure market are looking to the past for inspiration, providing their customers with a haven away from the pressures of modern life – a space where they can connect with other people without the need for technology. Looking back over the last ten years or so I can pinpoint two distinct shifts in style of Britain’s drinking establishments. Taking the early Noughties as my start point, the pub was largely irrelevant to young people, as appealing as saving up for things and eschewing University for a job. This was the era of the VENUE BAR where the walls were white, the fittings chrome, and the beer bottled. In fact it was often not beer at all but a fruit flavoured alcoholic beverage called – somewhat irresponsibly in hindsight – an Alco-Pop. The music was repetitive and a trip to the toilet was not dissimilar to a tour round a NASA facility – modernity ruled and there was no time for tradition. The pub was where your Dad went for a quiet pint with his mates. However, around 2007-ish there was a change. It was subtle to begin with but slowly pubs that had lay dormant for so long began a process of rejuvenation – original fixtures and fittings were uncovered, old pub names proudly re-claimed and displayed as badges of authenticity and what’s more they began to serve food. This was not your traditional British pub fare either; this was restaurant quality food, ordered at the bar and delivered to you on a wooden board while you relaxed on a re-claimed leather sofa. Lamb shanks with jus; Wood pigeon with Celeriac mash, Steak that was aged rather than old – all washed down with a Continental Lager or increasingly a Cask Ale or IPA. Suddenly modernity was old hat as the tastemakers leading this pub (re)evolution looked to the past to create the future. As New Labour exited stage left (or should that be centre left), welcoming in an era of credit crunches and austerity it seemed people wanted something different from their leisure time. These pubs were more refined in their traditionalism – they required you to sit down and talk with your friends, to savour rather than consume with modernity reserved to the Wifi access essential to stay connected to social media or tune in to goings on at work while you had lunch. Even the music was different; DJs were perched on the end of the bar or on a table around the corner from the dining room playing Johnny Cash, 60’s Soul or anything else that suggested refinement, taste and authenticity. The problem with fashion is that eventually the new trend becomes the norm and it is no different with pubs. No sooner had these independent gastro pubs staked their claim for society’s disposable income than they were either being diluted by copyists or bought up by the large pub chains. All of this begged the question as to where the aspiring publican, looking to do something different, goes to next for inspiration. Well you guessed it, back in time. Walking along Mare Street in Hackney this summer, I came across a new pub opening. There was little about the façade of the place to suggest what lay inside. It was either going to be another gastro pub or possibly one of the ever diminishing number of traditional boozers unchanged from the mid-80’s (they often look similar but in reality have a very different appeal). To my surprise it was neither. Instead it was what I would describe as a Modern Traditional pub. The pub (which for the sake of this post will remain nameless) offers a carefully chosen smorgasbord board of real ales and traditional ciders, many from local London breweries, fiercely independent and working to traditional brewing methods. The food offering was limited to ‘English Tapas’ (scotch eggs, pork pies, etc), enough to take the edge off but nothing that could be described as a meal. However, the most striking thing was the complete lack of that familiar fabric of modern life – technology. There are no TVs, no WIFI and barely a social media update in sight despite a largely media-savvy mid-20’s to 30’s crowd. This was a place where people came to drink beer and talk to each other, just like they used to. My visit got me thinking, if this is more than just a few individuals operating within a niche and the start of another trend, what is the appeal to those people who choose to spend time there? Well for me it’s quite simple. Technology enables us to be connected to our friends and family more than ever before and our ability to step away from the demands of working life is increasingly limited. We crave escapism and quality time with those people we choose to have in our lives and where better to get this than down the pub, a haven away from the world, just like it always has been. In an increasingly fast paced world, stopping to look backwards so often helps us to find the way forwards – cheers to that, I say! Fear. There’s nothing else to call it. Just plain, untrammelled, fear. Some beer rites of passage were keenly anticipated – at University, ‘drinking the Blackie dry’ was a team effort in which everyone in the pub would pull together in an oftentimes successful effort to drink the Black Horse clean out of its stocks of beer. Plus there were the ‘miles’ – the apochryphal pub lined streets with, oh, I dunno, 100 pubs in 100 metres or whatever. Others though simply brought on cold sweats. And they generally featured a beer of legendry strength. And generally, they featured drinking physiologically challenging quantities of said beers. And perhaps getting a certificate at the end of the night, not that you’d remember receiving at the time. Old Peculier. Like Hannibal, to get to us in the flatlands of the north west, this beer had its own rite of passage – to clamber the foothills and cross the bitter and vast windswept nothingness of the north Pennines. And like India Pale Ale rounding the Cape, or Madeira crossing the Equator, some mysterious, alchemical transformation took place. Alcohol content was pepped up; taste was set to challenge; body was roughened up to prevent you from drinking it quickly. 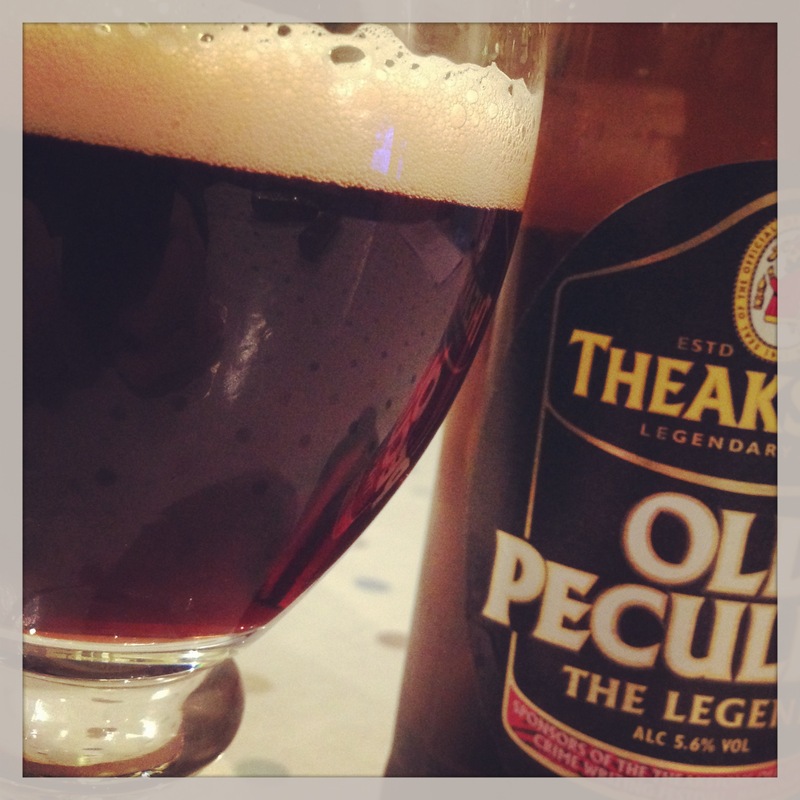 Old Peculier was like the Manchester United of the beer world: you felt defeated before you took the first sip. Plus, it was draught not bottled, so you had volume to contend with too. Here’s the thing though. It’s not what I remembered at all. First off, there’s the strength. I don’t know whether its alcohol level has changed, but in bottle it’s 5.6% – a typical strength for many of the beers I’m drinking these days. Second, I enjoyed it. Back in the day, the assault of volume, reputation and a lost mental battle meant that I never really contemplated the beer, rather just strategies for survival. But today, with just the one to enjoy it was different: a tight liquorice-white head; an aroma of treacle toffee and distant smoke; a mellow alcohol in the taste off set by some dark cherry pulp. In fact, the peculiar thing about this beer is that it is neither a challenge, nor Peculier. The little touches around beer brands aren’t the first thing you notice. They come to bear over time. Too often, what gets talked about is just the dimensions of the beer itself – the aroma, the taste, the mouthfeel – or the brewing process; the brewer, the kit, the setup. But I like the details. Bottle embossing: more cost; more delight. 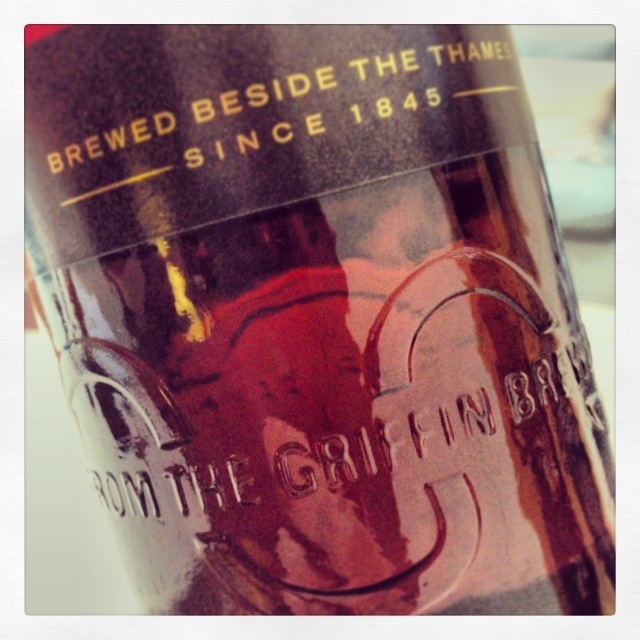 Here the lovely twist of the River Thames around the base of a London Pride bottleMy past was a world of Big Beer. It’s a world of ‘cost optimisation’. It’s a world where, for the most part, the joy of beer is slowly being sucked away. The details which make a difference over time cannot be justified against ‘return on investment’ criteria, nor often can you do the maths anyway. In the war of attrition the details get eaten away. In time, even the people employed to steward the brands over the long term have to give way to the arguements of cost in the here and now. Have you noticed for example how lager bottles are getting lighter? Bud bottles used to be a deep brown. Hold an empty bottle now it’s no darker than a Ray Ban lens. The rationale: resource protection (Save the planet!). The real benefit: lower cost. How bottle neck foil has disappeared over time? Not scratched off by the thumbnail of the drinker (who always prefer it) but scratched from the product cost by the accountant’s relentless push for cost reduction? And have you noticed how beer labels are thinner and smaller? Or how cans, once you pour them crinkle like tin foil? Other changes are less visible but more pernicious – like taking the ‘oxygen scavengers’ out of bottle crowns that protect the beer freshness but cost half a penny more; or making the card of your multipack thinner so it’s cheaper but as a shopper less stable to carry and more dangerous when taking it down off the shelf. Thing is, there comes a point where the drinkers notice. Take Stella Artois: it is now available in a 284ml bottle – to allow them to hit attractive price points I assume. But whoever heard of a Belgian lager in a British Imperial bottle size? And who cares that it’s 284ml – why not make it 275ml like the others and damn the torpedoes? All I care about is that it’s not 330ml like it used to be and poor value as a result. Drinkers do notice beautiful labels like Sierra Nevada or Kernel. Drinkers do notice beautiful, embossed bottles like London Pride. 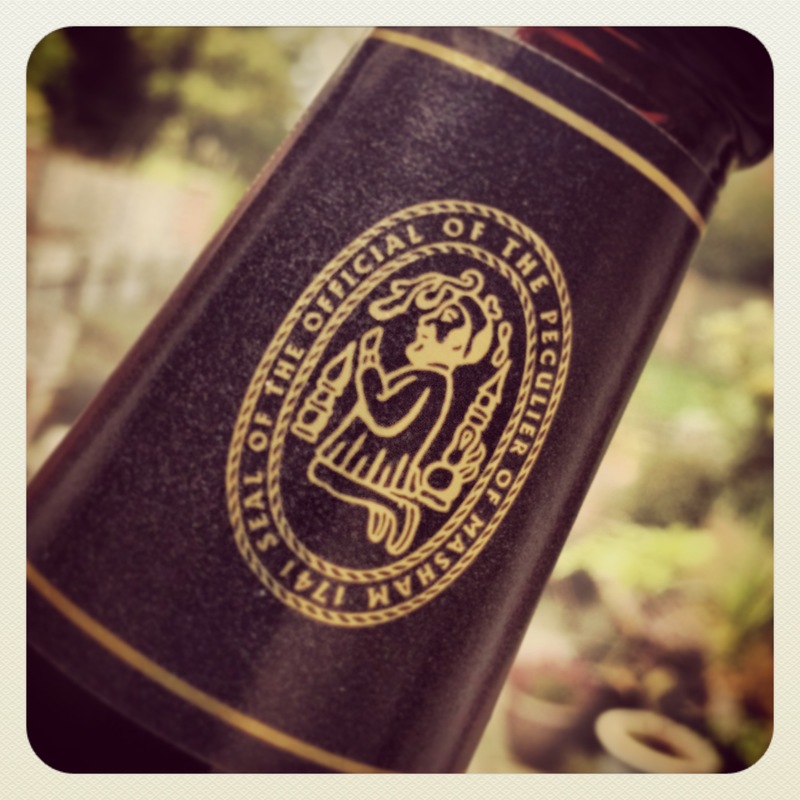 Drinkers do notice quality materials like the labels and foils on the Thornbridge range. 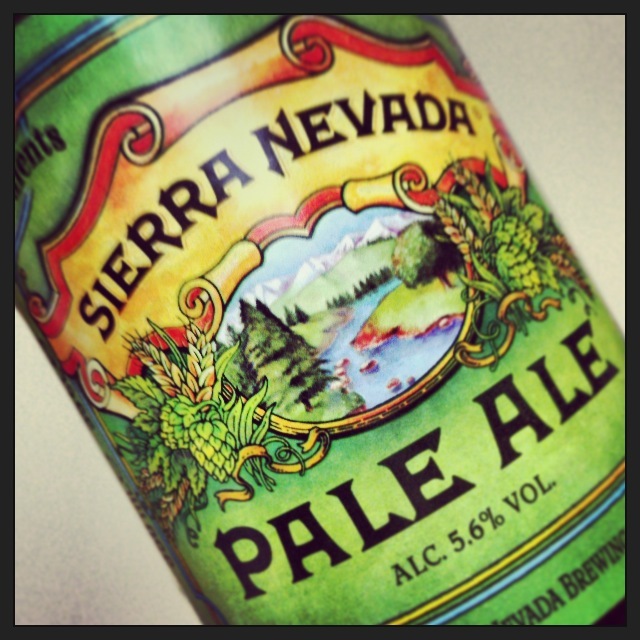 The Sierra Nevada label – like a map you can read it differently every time, seeing some new detail.We should celebrate the details. We should cherish the beers from the brewers who recognise that drinking beer is more than just drinking beer, but an experience that pleases all the senses and recognise that sometimes, despite what our financial advisers might suggest, you can’t put a price on it.